Feb 21, 2013 Free form builder software "*requiered Fields"
Feb 21, 2013 Great html form example code tool! Hi! I just recently downloaded your program and wanted to give some initial input. First, I have to say that the drag/drop features are awesome. Formoid Techs, I downloaded and have used your new app. I offer a few of my suggestions and I realize you maybe already working on them. 1. 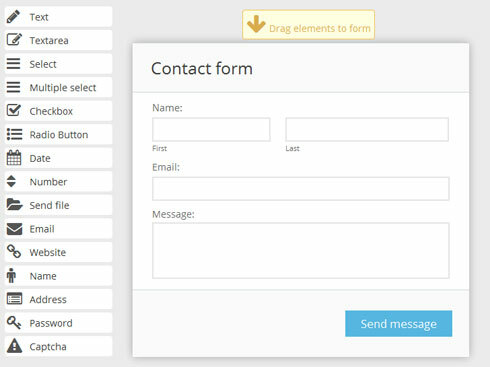 Oct 23, 2013 Jquery popup contact form for "Contact Us"